Shouldn’t You Decide Who Your Broker Will Be? The Nordhavn 52 Dirona is one of the best boat building projects I have even been involved with. James and Jennifer Hamilton worked with me for over eight years before we finally got to the stage where they were ready to purchase. At that time I was still working with PAE/Nordhavn and over the course of several months we met in person, talked on the phone and exchanged hundreds of emails to help define every detail they wanted in their boat. There were a number of “firsts” that caused a lot of extra work for the project manager and builder – first to quote and then to implement. My experience has been that it is much better for all parties, buyer and builder, to have a very thorough order at the time of contract. It is difficult to make changes after you sign your agreement (although we made dozens), so it is extremely important to specify all of the equipment and changes you wish to make as a buyer up front and before making a final commitment. Since the Nordhavn 52 is essentially a “stretched cockpit” Nordhavn 47 we weren’t dealing with a complete unknown design that had only been created on paper. 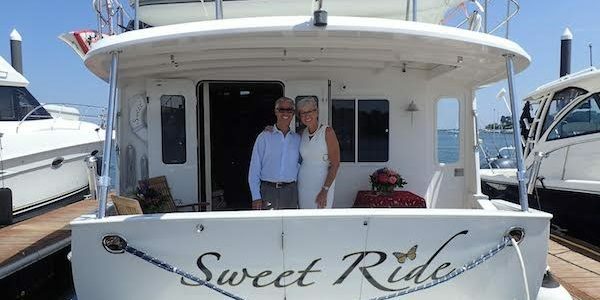 During our due diligence I supplied James and Jennifer with thousands of photos of features and options I had observed on other Nordhavn 47s. Jennifer organized all of these photos by room and by feature so that they could flip back and forth to design their ultimate cruising machine. Reviewing photos, talking to other owners, getting on as many boats as we could and tirelessly researching created a “greatest hits” list of requests and it made the pre-purchase pricing process much more difficult, but much more effective and they truly left no stone unturned in their pursuit for the ultimate. Among the many important steps we took after signing up was to visit the ship yard in Xiamen, China when the boat was very far along in production, but before the machinery was placed in the lazarette. With the equipment on hand, we spent two days organizing the optimum layout for weight balance and serviceability. This could only really be done in person and the team at South Coast (the builder) was very helpful in working with us to achieve this. I’m proud to say the Dirona came out as a spectacular trawler yacht and has been the full time live aboard home for James and Jennifer (and their cat, Spitfire) for several years now. After commissioning in Seattle they have done some amazing exploring. They baptized her in the Pacific Northwest and then headed down the US west coast before setting off across the Pacific. 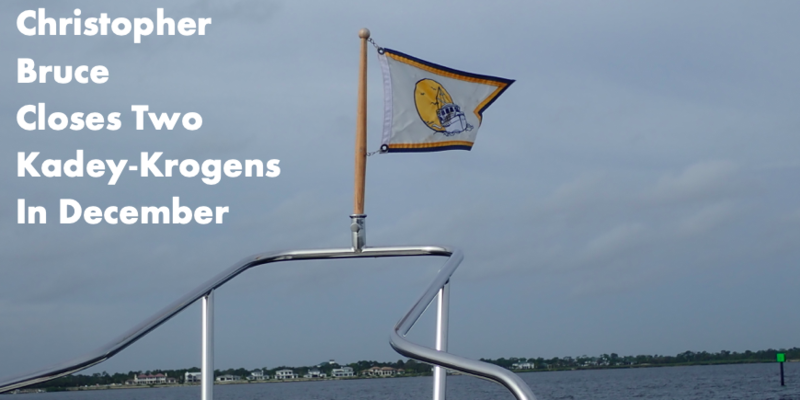 Their blog, www.mvdirona.com is one of the most popular reads of any cruising boat (sail or power). The Hamilton’s regularly post updates (I can’t remember when they last missed a day) and share not only their travel experiences, but their maintenance techniques and the lessons they have learned offshore. On top of this they are both still working full time from the boat – James for Amazon.com and Jennifer for Microsoft – a very rare employment arrangement that has allowed them to live life to the fullest. Before they took off on their trip they gave a great seminar at the 2010 Anacortes, WA TrawlerFest about their approach to building a semi-custom yacht. I recommend it as essential reading if you are thinking about building a new trawler and they were kind enough to give me permission to post their PowerPoint on my website. Quite simply it is an incredible summary resource of their thoughts, observations and recommendations for building a new boat. 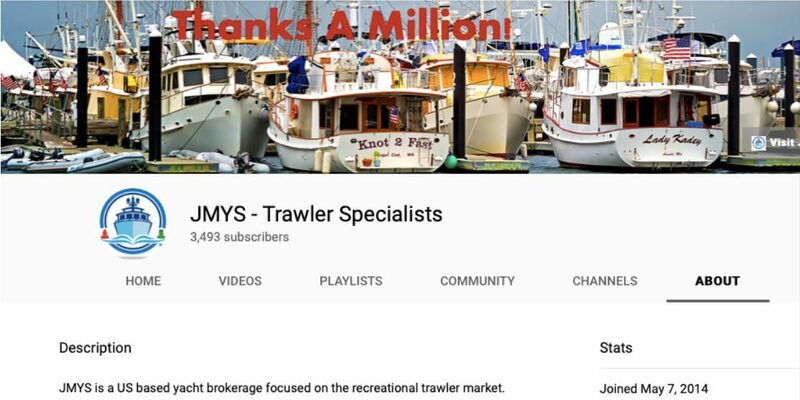 Jeff Merrill Yacht Sales, Inc.
Want to learn more about Trawlers? Please join our email list to receive information on Trawler Listings, Trawler News and Up-coming Events!